Through the first three games of the 2016 rematch between the Golden State Warriors and the Cleveland Cavaliers, we witnessed one of the most defenseless series in NBA Finals history. While the defending champs may be on the verge of blowing a 3-1 lead, only one of these contests have been what we like to call “barn burners,” with each game featuring one beatdown after another. This is the Finals we wanted, yet, we had no idea it would look like this. Given the way these two clubs played in the postseason, we fully expected the Finals to be a shootout. However, we didn’t think each game would consist of one team blowing the other out of the water. If anything, we believed that both team’s stars would rise to the challenge of this much-anticipated showdown. After all, that’s what’s supposed to happen at this stage in the game — at least for a single game. Throughout NBA Finals history, we’ve seen many individuals put together remarkable single-game scoring efforts. These five, however, put the rest to shame. Bob Pettit was an absolute monster during the 1958 NBA Finals. The Hall of Famer they called “Big Blue” knocked during 42.3% of his shots, averaged 29.3 points, 17 rebounds, and 2.2 assists per game, and led the St. Louis Hawks to a victory over the Boston Celtics in six games. In the end, however, it’s his performance during the series-clinching Game 6 that stands out among the rest. With the Hawks on the verge of winning the title, they needed their best player to rise to the occasion — and that’s exactly what he did. Pettit knocked down 19 shots, went 12 for 15 from the charity stripe, and finished with 50 points in a 110-109 St. Louis victory. With the way the current Hawks team continues to disappoint in the postseason, we bet they wish they had someone with Pettit’s big-game moxie right about now. 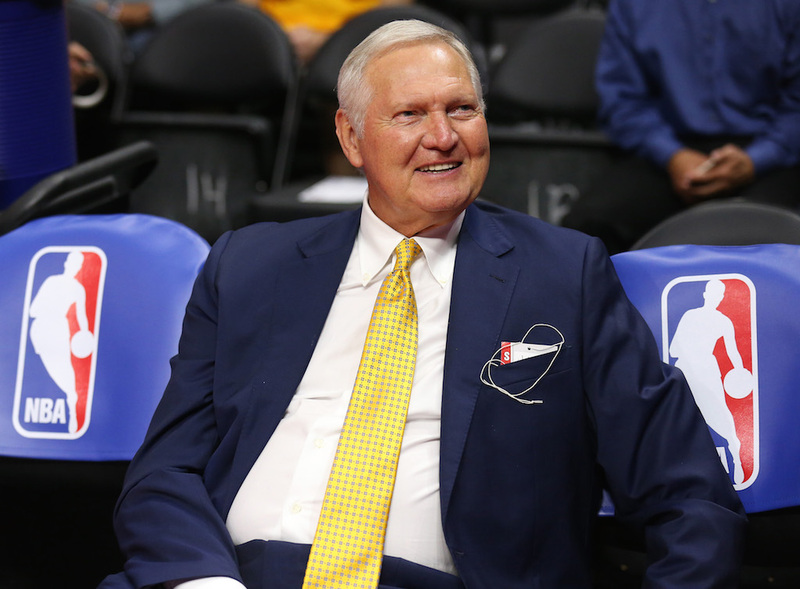 Although the Los Angeles Lakers fell to the Boston Celtics in the 1969 NBA Finals in seven games, there’s a reason Jerry West became the first — and only — player in history to earn MVP honors in a losing effort; he was just that good, putting together a ridiculous stat line of 37.9 points, 4.7 rebounds, and 7.4 assister per game for the series. Of course, while his overall performance is nothing short of spectacular, West’s showing in Game 1 was some next-level stuff. In a 120-118 victory, West made 21 field goals and knocked down 11 of 13 free throws, ultimately finishing with a game-high 53 points. 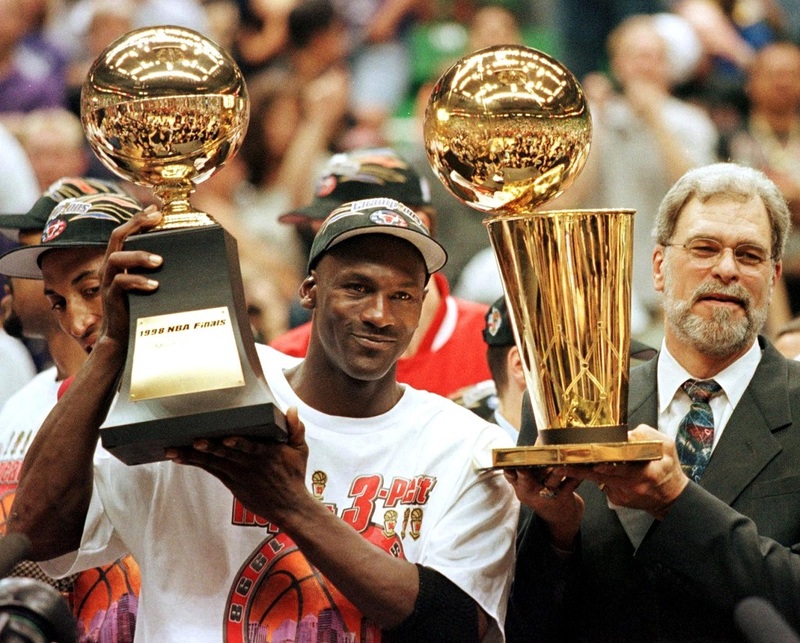 While this individual effort puts West in some pretty historic company, something tells us he’d give it all up in exchange for a W.
The Phoenix Suns gave it their all, but Michael Jordan and the Chicago Bulls would not be denied in the 1993 Finals, winning the series in six hard-fought games. 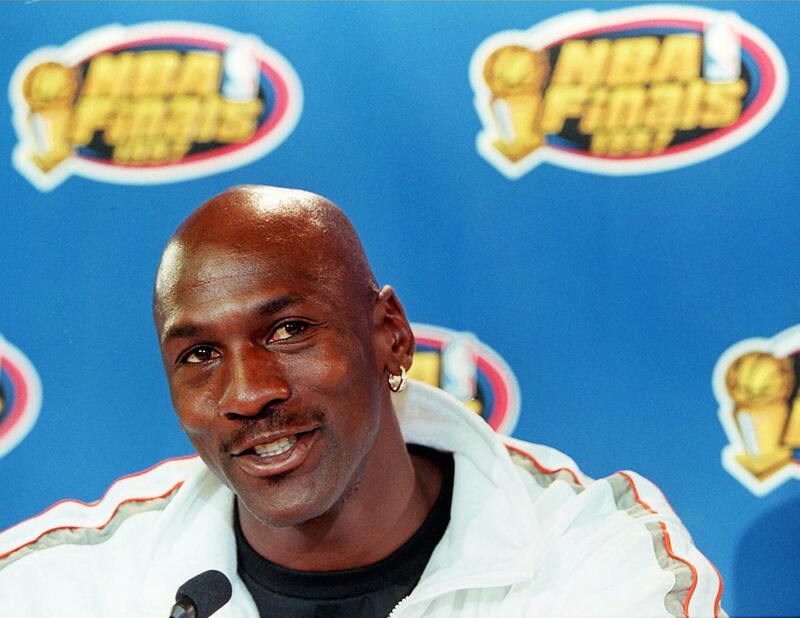 To no one’s surprise, His Airness earned MVP honors after a ridiculous individual effort that saw him average 41.0 points, 8.5 rebounds, and 6.3 assists per contest, while putting together a performance for the ages in Game 4. As easy as it would be to knock Jordan for attempting 37 shots in the game, it’s hard to do when he ends up sinking 21 of them. Throw in the fact that M.J. went 13 of 18 from the free-throw line, added eight rebounds and four assists, and scored almost half of the Bulls’ total points (111) with a game-high 55, and what else is there to say? He’s the greatest. The San Francisco Warriors may have lost to the Philadelphia 76ers 4-2 in the 1967 NBA Finals, but that doesn’t take away from how unstoppable Rick Barry was throughout the series. Not only did he average 40.8 points, 8.8 rebounds, and 3.3 assists a game, he also put together one of the greatest single-game efforts in Finals history. Down two games to none heading into a “must-win” Game 3, Barry put the Warriors on his back and pretty much singlehandedly kept them in the series. The Miami Greyhound hit 22 shots, went 11 for 19 from the free-throw line (all of them underhand, obviously), and went all “NBA Jam” to the tune of 55 points. If only he had gotten a little more help from his friends (and by friends we mean teammates), then maybe the Warriors would’ve finished on top. It’s hard to believe that someone of Elgin Baylor’s immense talent lost so many Finals. On one such occasion, the 1962 Finals, he even averaged 40.6 points, 17.9 rebounds, and 3.7 assists per game, yet the Lakers still fell in seven games to the rival Boston Celtics. That was also the series when Mr. Inside put together the greatest single-game scoring performance in Finals history. In LA’s 126-121 Game 5 victory, Baylor did his best Superman impression, connecting on 22 shots while knocking down 17 of 19 free-throw attempts. In the end, while his 61-point performance was enough to give the Lakers a 3-2 series lead, the Celtics would win the next two games and take the series in seven. We have a feeling that all the scoring in the world doesn’t make that hurt any less. Statistics courtesy of Basketball-Reference.com and NBA.com.